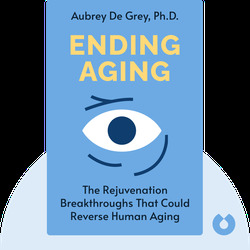 Ending Aging by Aubrey de Grey, Ph.D.
By Aubrey de Grey, Ph.D.
Ending Aging (2007) puts forward a fascinating theory about how science may allow human beings to slow the hands of time and, therefore, the process of aging. Learn what happens in our bodies that leads to aging, disease and cancer – and how modern science might be able to put an end to these problems once and for all. Aubrey de Grey, PhD, is chief science officer and chairman of the Methuselah Foundation. 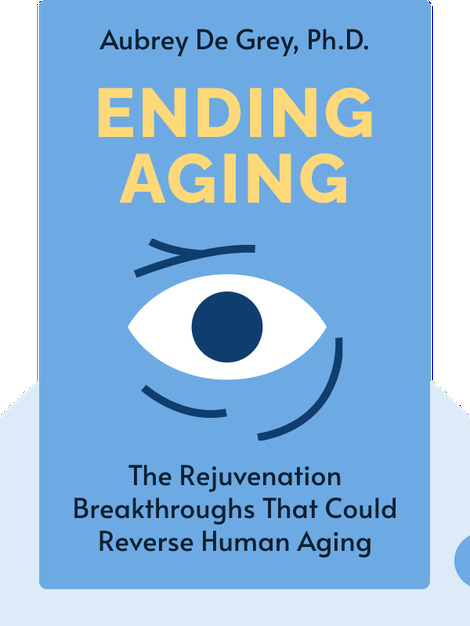 As a biomedical gerontologist, he is one of the most active scientists in the fight to stop aging. He developed the SENS program to stop aging. Currently, he organizes conferences and workshops to promote further research. Michael Rae is Dr. de Grey’s research assistant. He was a board member of the Calorie Restriction Society and a major contributor to their how-to guide. He is also assisted with a partner study that tries to determine how calorie restriction might be feasible for humans.